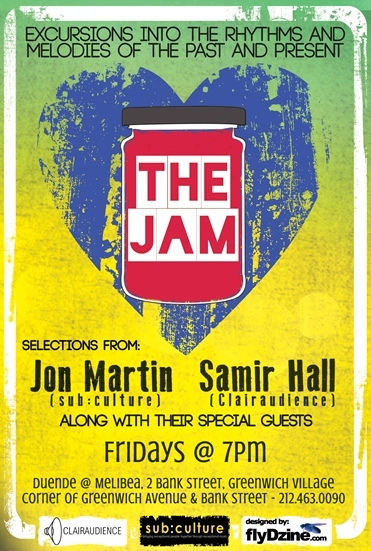 The Jam: All Jams, No Peanut Butter every Friday night. An excursion in classic club music & nu-grooves to make you pop, dip and spin. Curated by Jon Martin of sub:culture nd Samir Hall of Clairaudience. This entry was posted in Uncategorized and tagged after work, Clairaudience, classics, club, drinks, house music, jon martin, parties, sub:culture, The Jam, village. Bookmark the permalink.